This cabin is in a remote scenic location. 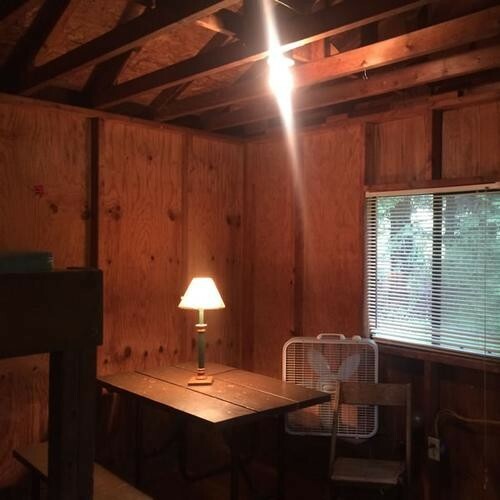 Nestled between the horse pasture and the tenting area, this cabin is set in its own clearing in the woods with a large yard space. It is a rustic cabin with split-timber siding and wooden accents in the interior. 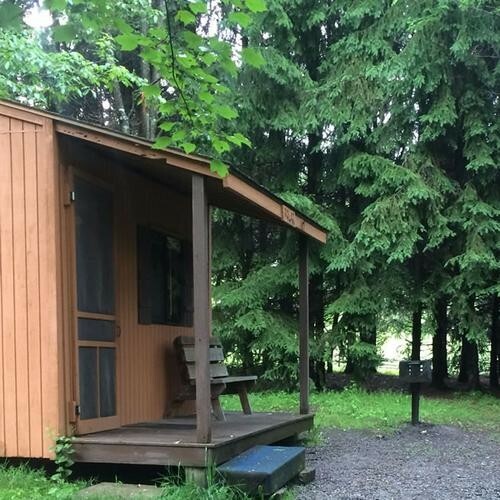 It offers campers a great balance between its quiet wooded location and still having the comforts of cabin amenities. # 7 on the map. Call for current rates and availability.